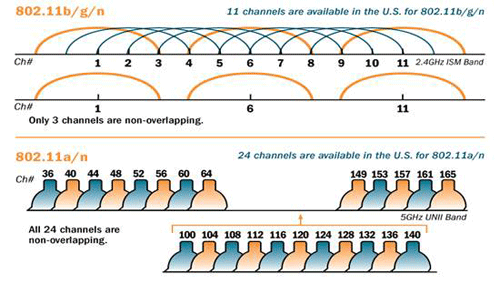 Some research uncovered that my problem most likely lay in the fact there where two spectrum bands. First, hold down the Option key. Click on Spotlight and type “system information“. OR press cmd+space-bar and then type “system information“. 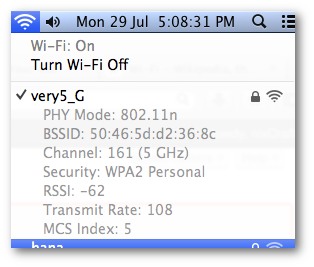 Finally, choose Network and select Wi-Fi. The WI-FI connection information will be displayed on the right. 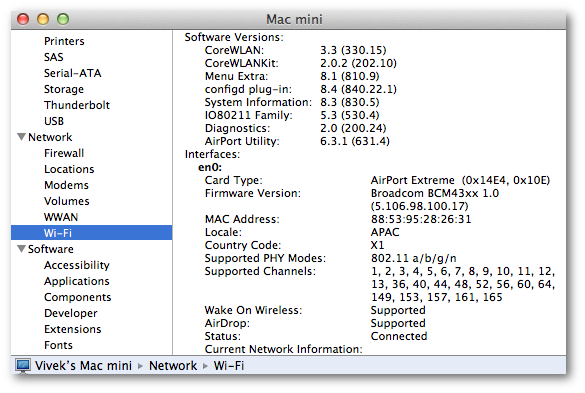 Open “network utility” and select the Info tab and choose Wi-fi (en0 or en1) on the drop-down options.